A parent’s worst nightmare is realizing their child is missing. 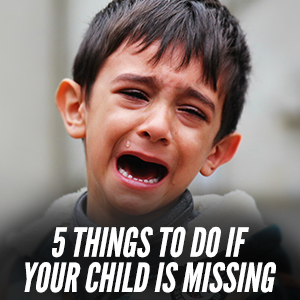 In the event that you experience this unfortunate fate, here are five things you should do once you notice your child is missing. Call The Police – Many people falsely believe that you have to wait 24 hours before contacting law enforcement after a child goes missing. This is not the case at all. In fact, it is better to get in touch with the police as soon as you can so they can have officers on the lookout. If the police are not very responsive when you call, ask to talk to someone in charge. Get In Touch With Neighbors And Friends – Sometimes parents believe that children have gotten grabbed by strangers, but they may be hanging someplace around the neighborhood. After calling the police, ask neighbors and friends if they have seen your child recently. In the event that you are able to locate your child right away, you can always call the police back and let them know. Write A List – While everything is still fresh in your mind, write it down. There is pertinent information the police will want to know and it would be very unfortunate if you cannot remember everything. Things like height, weight, detailed physical descriptors and the last thing they were wearing will be essential. This is the information that people will be using to try locating your child, so accuracy is key. Keep Your Phone Line Open – In the event that your child tries to call home, you want to have your phone line available to them. If there is more than one phone located in your home, make all of your phone calls from the ones that your child doesn’t call the most. For instance, if you know that your child is likely to call the landline when something happens, you should try making all of your phone calls from a mobile phone. You do not want them to try getting in touch and they reach a busy signal. Head To Social Media – Spreading your child’s face around social media and letting people know they are missing can be very useful. There is always a chance that someone out there may have seen him or her. Attach a recent photo to your post and a preferred method of contact. 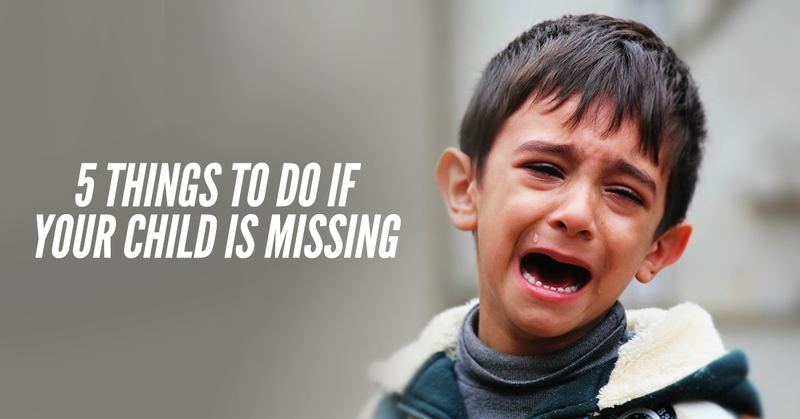 You may feel like you are immediately sent into panic mode if your child goes missing, but it is important to remain calm and follow all of the advice here. This will increase the chances of your child being found sooner rather than later.